1. James Moore, Joe Moore, Jerry Doyle, Russ Miller and Brian Gessel appreciate the significance of the event at the south end of Dante Yard. 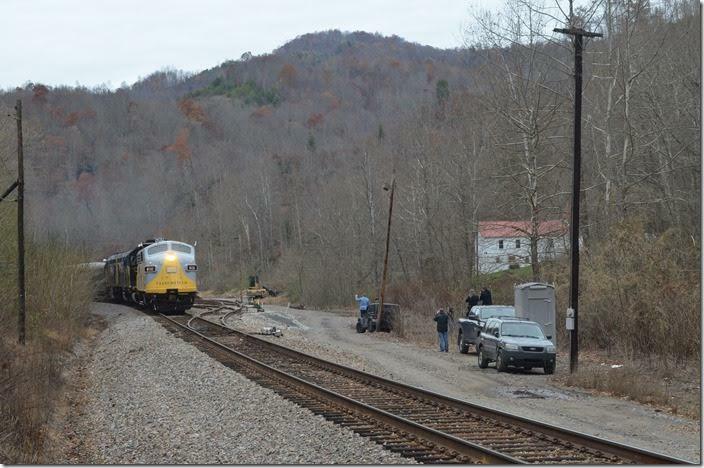 James and Russ are CSX engineers and Brian works at Huntington Loco. Shop. I hope young Joe remembers this outing with his dad, and it becomes a hobby. 3. Santa. Waving to his fans. 4. 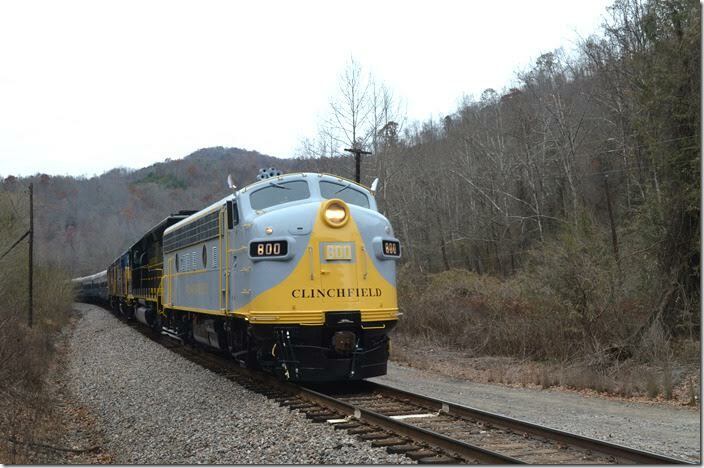 P900 has stopped at St. Paul and Dungannon and is now on the “Hardwood straight”, a tangent of almost two miles, the longest on the Clinchfield. 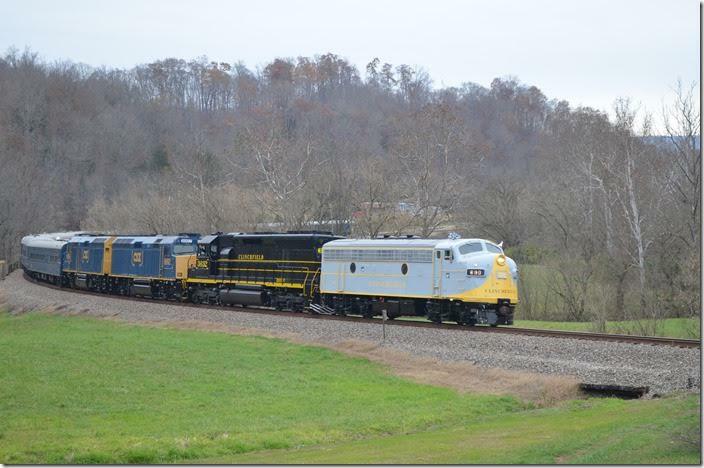 Ken Marsh explained that the railroad purchased all of the property we see with an idea of building a hump yard. When this didn’t come to fruition the north end was retained as a hunting reserve and named Rikemo. 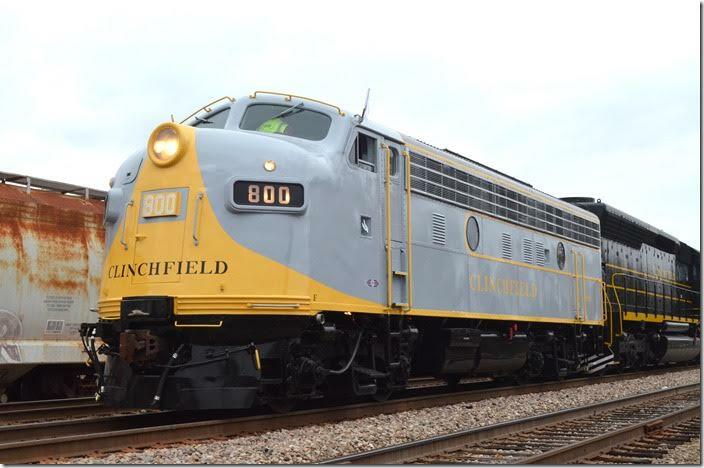 I assumed this was an Indian name, but Ken explains that the syllables stand for Tom Rice, William Kendall and Thomas Moore Jr. Rice was chairman of SCL, Kendall was president of the L&N, and Moore was general manager of the CRR. The gate, I think, still says Holstein Land Co., a subsidiary of the railroad. 5. The big curve near Starnes. 6. 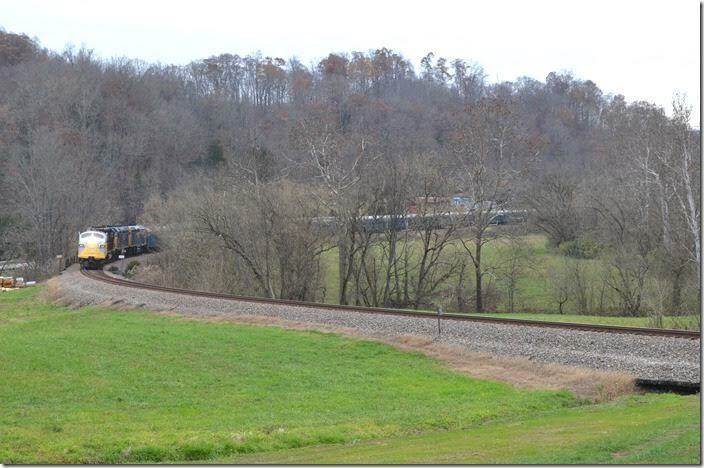 The big curve near Starnes. View 2. 7. The big curve near Starnes. View 3. 8. 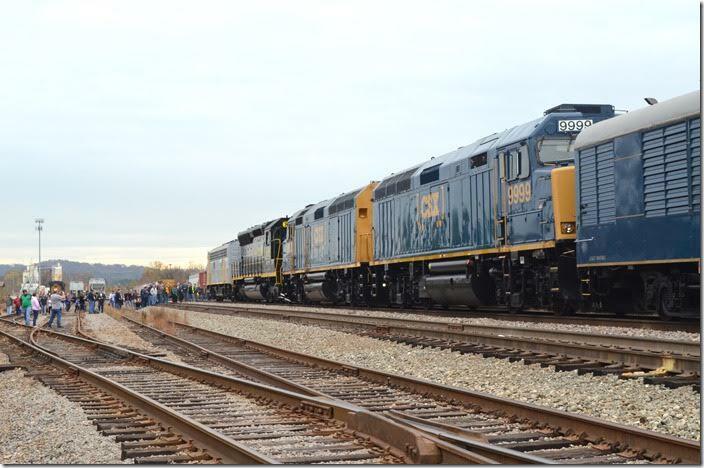 P900 arrives in Kingsport amid a huge (but controlled) crowd. 9. Instead of the traditional parade, a portable stage was set up for a concert. 10. 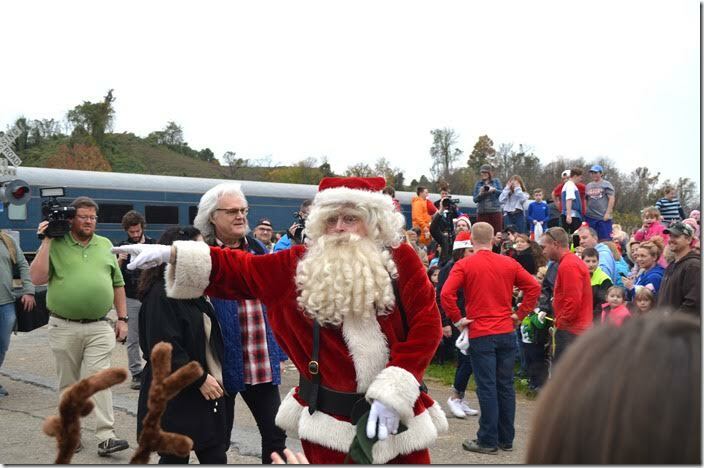 Ricky Scaggs and his wife follow Santa to their excited fans. 11. 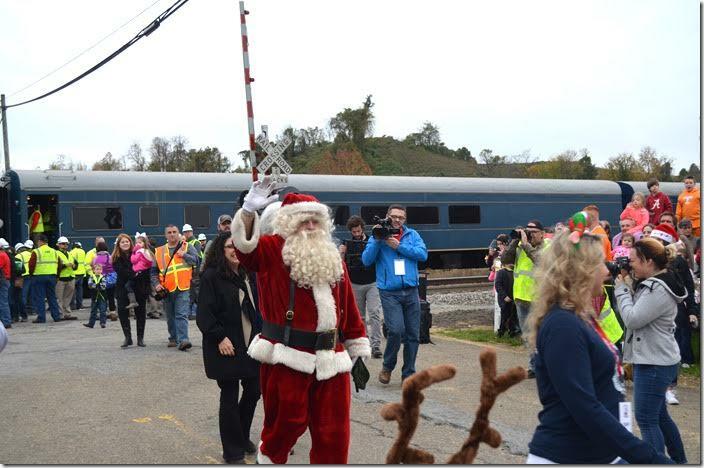 Railfans are oblivious to perhaps the most well-known music star in many years. 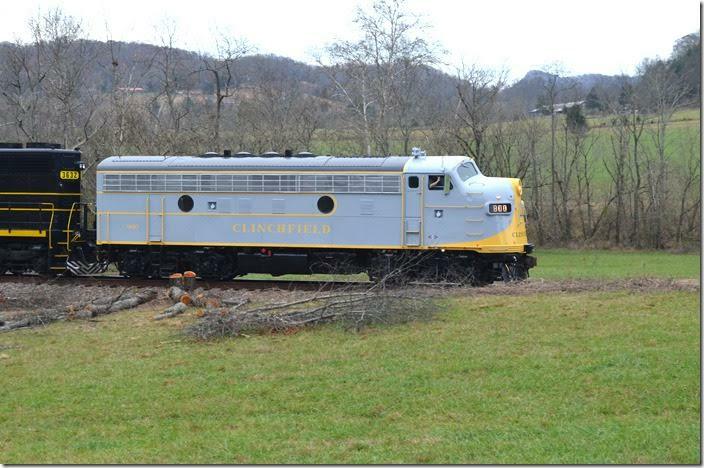 The star is really former Clinchfield 800 looking as it did when delivered almost 70 years ago. 13. 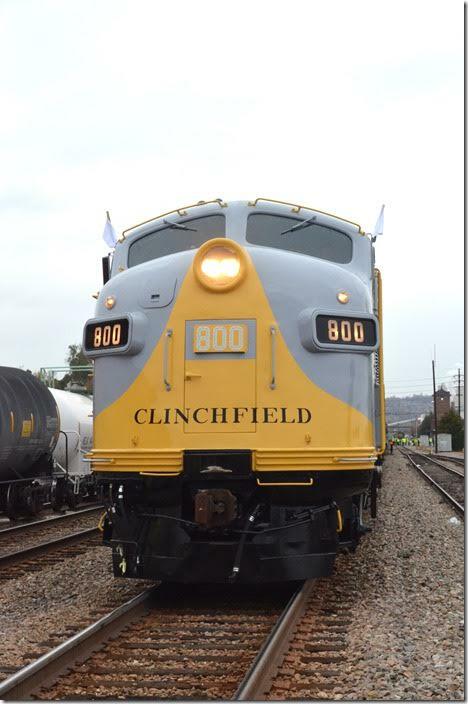 Clinchfield 800. View 2. 14. 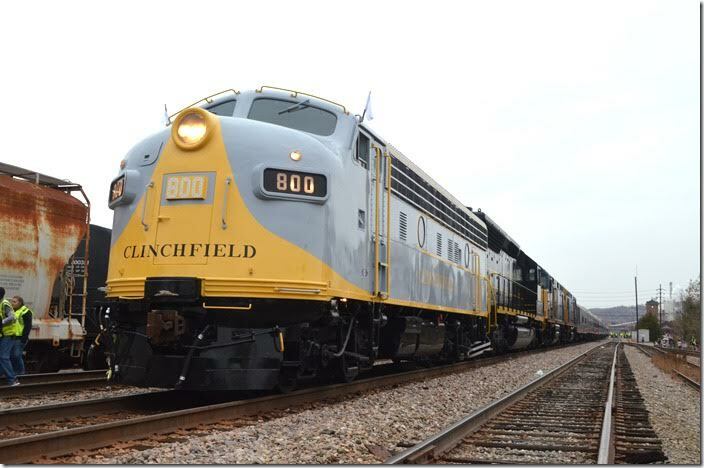 Clinchfield 800. View 3. 15. 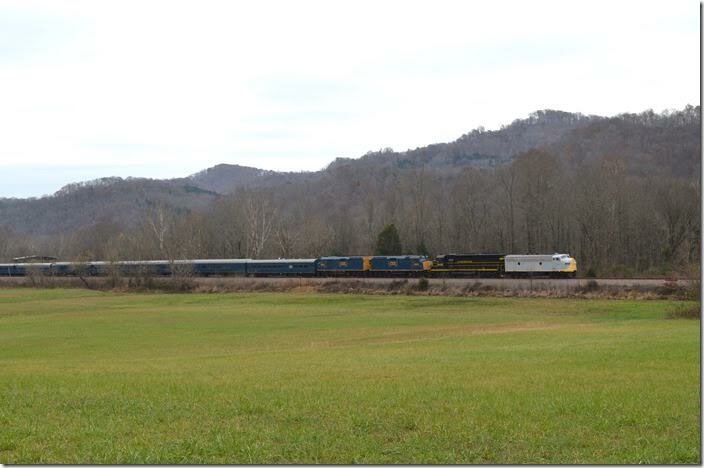 The train proceeded to Carter Yard where the outbound crew arranged to get the two CSX F40s in the lead for the trip south. 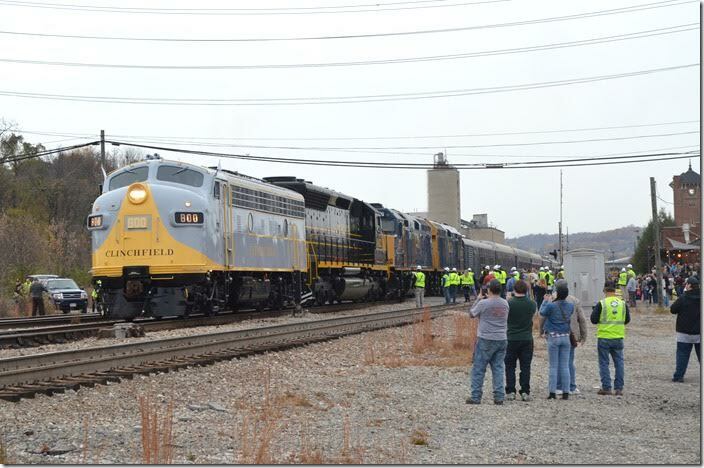 There were many more railfans at this event than in 1992, when Union Pacific 4-6-6-4 – numbered CRR 676 – pulled the 50th Anniversary run. 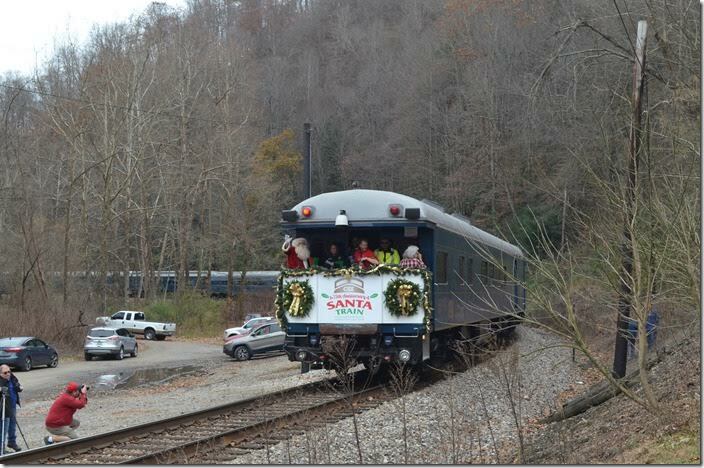 Sue and I headed home after the most exciting Santa Train in many years. 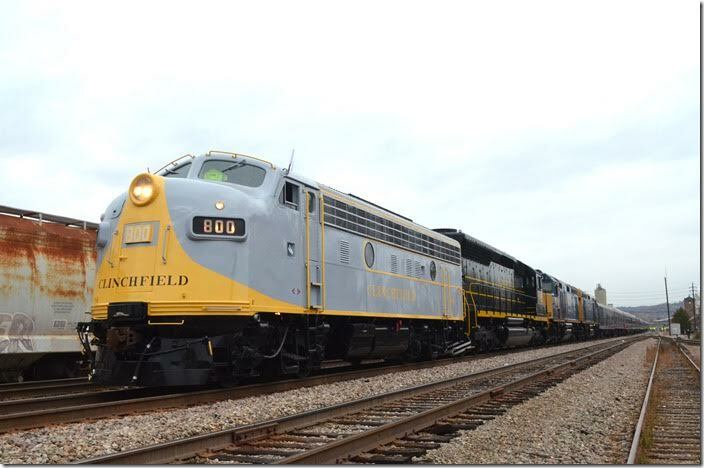 Copyright 2011 - 2017, CSX Transportation Historical Society.